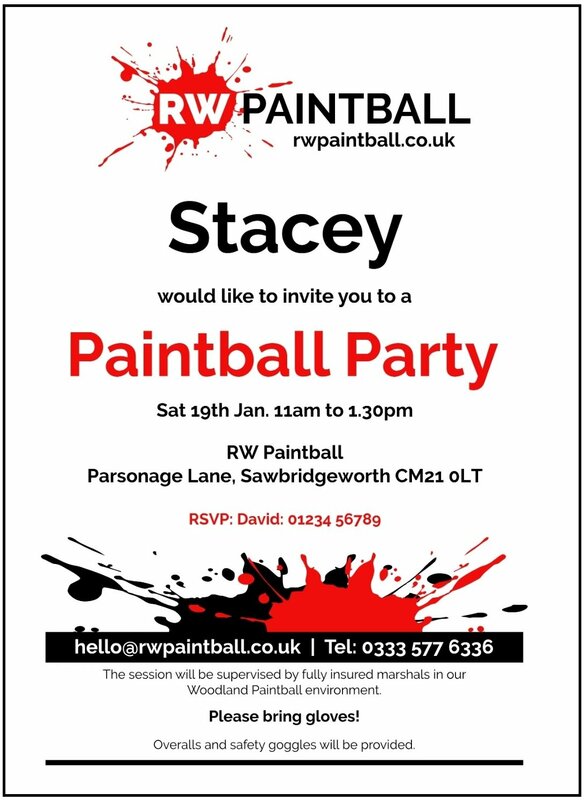 Use the form below to create your paintball party invitation which you can then print and send. Select the location of your party from the “Locations” dropdown. For Cheshunt chose Hatfield. Location has Hatfield address. The invitation will appear on a separate tab in your browser. Right click on the image and “Save the image” to your computer, from where you can print it.